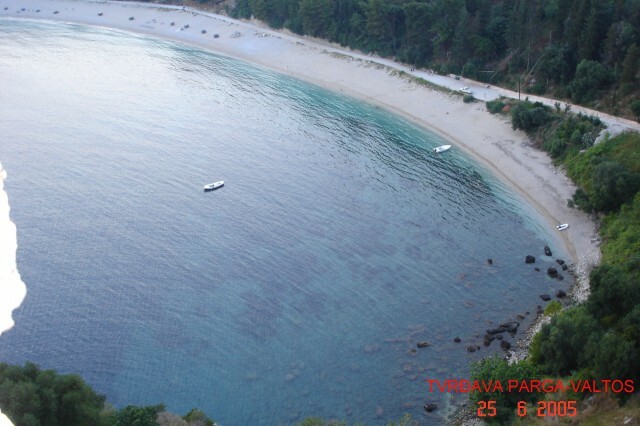 Holiday.gr - Parga, a trip to a myth! The cosmopolitan Parga, belongs to the prefecture of Preveza. It is located southwest of Epirus, near Acheronta River, Igoumenitsa and opposite the Ionian Islands Paxos and Antipaxos. 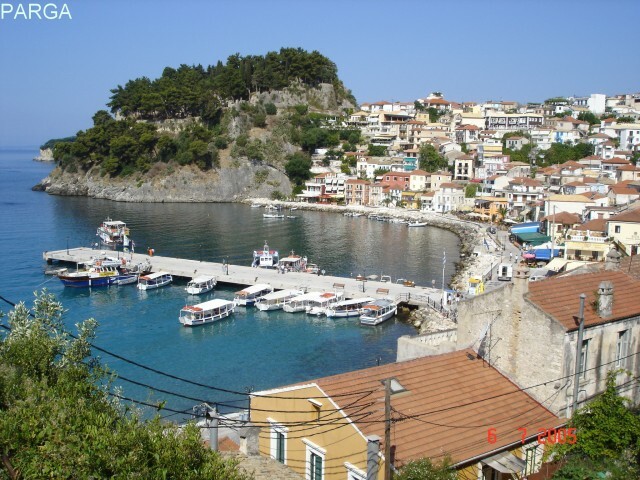 Parga became a municipality since 1947 and was declared a "tourist area" in 1962. 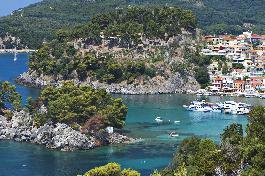 Today the municipality of Parga apart from the city includes the municipal districts of Anthousa, Agia and Livadari. Parga is attracting the visitor's interest due to its peculiar architectural structure, which has received many influences from the Venetians. Its characteristic feature is the small whitewashed houses that lie on the other, the well-preserved mansions and narrow cobbled streets, reminiscent of Corfu's slopes. In recent years, this beautiful city of Epirus has been transformed into a remarkable tourist resort. Throughout the year, thousands of visitors, Greeks, Italians, English, Norwegians, Germans and other nationalities, overwhelm Parga and the surrounding areas to admire its unforgettable natural beauties and experience its history through Its important historical sights. Fun options vary. Entertainment centers, cafes, bars, picturesque taverns and luxurious restaurants satisfy the tastes of the most discerning visitors. Parga is a destination that has it all. During your tour of the countryside, it is worth visiting the village of Anthousa, located to the north of Parga. It is built at the foot of the mountain, near the Ali Pasha Castle, in an area full of citrus and olive groves. Among them is an imposing cataclysm. At the most mountainous point of the area we find the traditional settlement of Agia, built on a beautiful slope. It keeps the traditional element alive, which is distinguished by the architecture of the village and the habits of the inhabitants, who remain faithful to the traditional customs and customs. A few kilometers outside the city we meet the village of Agia Kyriaki. It is a picturesque hamlet with traditional stone houses and a spectacular view to the bay of Ai Giannaki. There, in the center of the bay, there is a spring where water can not stop splashing even during the summer season. 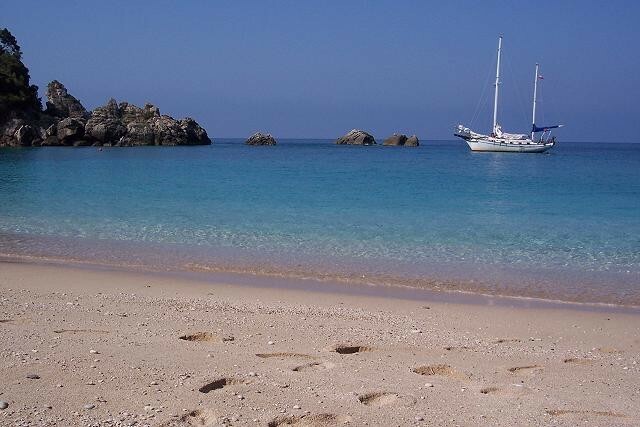 The beaches of Parga will amaze you. You can choose among beaches with sand or pebbles, organized or deserted, where they can only be reached by boat and experience unique moments close to nature. The most popular beaches of the area are Ayi Giannaki, Likhon, Valtos, Sarakinikos, where the endless blue in combination with the green surroundings create idyllic landscapes. Been to Parga ? Share your experiences! 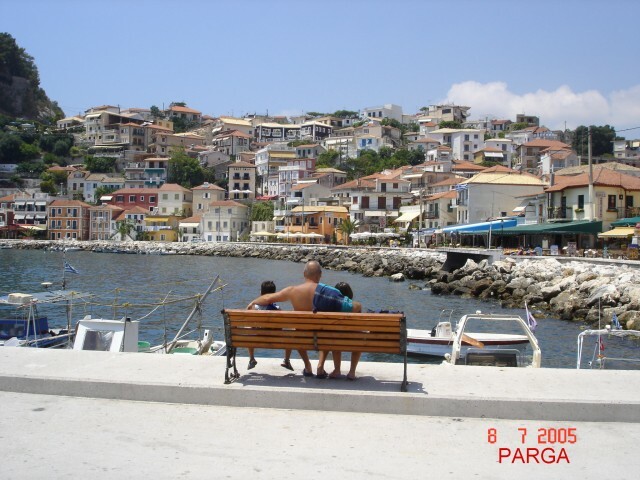 My family and I spent approx 10 days in Parga, Greece last summer (jun, 2007). We liked the city and it\\\'s nice beaches, clear and warm sea, the narrow streets with lots of small shops and restaurants with tasty Greek food. However, we had a pretty bad experience with accommodation. We stayed in Villa Avli, centrally located and relatively close to the beach. The apartment that we rented was nice , clean and reasonably priced, but the owner was a nightmare. He was rude, loud and aggressive and since he was a police officer, he thought that that gives him the right to threaten us. He threw us out from the apartment because our children were playing on the balcony during the \\\'rest\\\' time, 2-5 pm. Our children were completely traumatized by the experience. After this we found another accommodation managed by a very kind and considerate women who was a great host like many Greeks are. But still we left Parga with bitter sweet taste and I don\\\'t think we\\\'ll ever go back. Μείναμε σε διαμέρισμα 55 m2 α΄ορόφου δύο υπνοδωματίων, πολύ περιποιημένο-ευρύχωρο για (5)ενήλικα άτομα, πλήρως εξοπλισμένο, καθαρό, με πολύ φιλικούς και φιλόξενους ιδιοκτήτες για 4 μέρες στις αρχές Αυγούστου 2014.Η απόσταση από τη παραλία του Βάλτου ήταν περίπου 350 μέτρα και από τη πόλη 1,5 - 2 km. ΑΝΑΦΕΡΟΜΑΙ ΣΤΑ ZOTOS ROOMS ΣΤΗ ΠΑΡΑΛΙΑ ΒΑΛΤΟΣ.